March in North Carolina brings out one of the country’s greatest rivalries. No, I’m not talking about UNC vs Duke basketball. 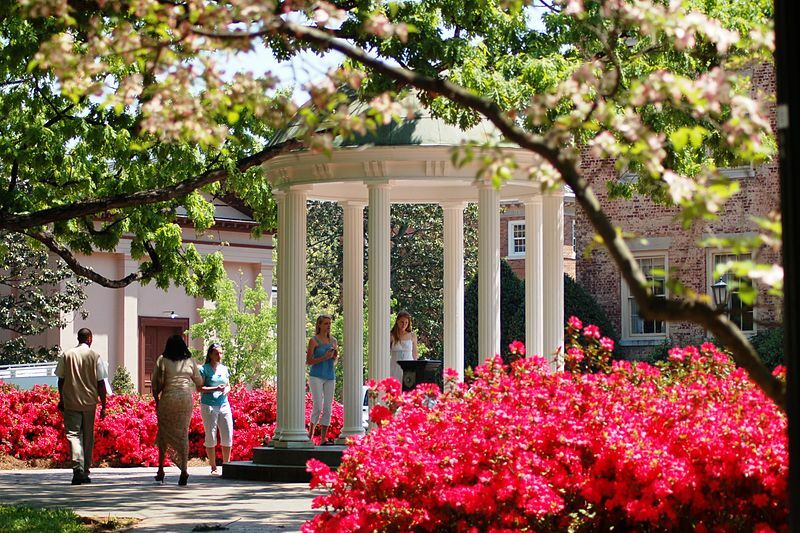 I’m talking about when the flowers start to bloom in the Tar Heel state, and pandemonium ensues. North Carolinians run to their local pharmacy to pick up their preferred allergy medication: according to US News and World Report, cetirizine (Zyrtec) and loratadine (Claritin) are neck-in-neck for the top pharmacist-recommended over-the-counter allergy medication. As an organic chemist and sufferer of seasonal allergies myself, I was curious: how do antihistamines work, and is one better than the other? To understand the differences between these two medications, we need to go back to 1910, when histamine (aptly named for containing an amine, or NH2, in the structure) was first studied. Histamine is a small molecule that is formed from the amino acid histadine through enzymatic removal of carbon dioxide. Histamine is released when allergens enter the body. It can then bind to a four G protein-coupled receptor which causes the allergy symptoms we are familiar with, including itchy eyes, stuffy nose, and sneezing. Antihistamine medicines are antagonists that compete with histamine for receptor binding. The first generation of antihistamine drugs, most notably diphenhydramine, (aka Benadryl), sought to mimic histamine. Histamine and diphenhydramine are small molecules with many structural similarities; scientists determined that the functional groups necessary for histamine binding are an amine, or nitrogen (red), a linker containing 2-3 atoms (green), and an aromatic ring (blue). Antihistamines are more lipophilic than histamine because they have two aromatic groups (blue) and have carbons attached to the nitrogen (instead of hydrogens). Though molecules like diphenhydramine work very well at competitively binding histamine and reducing allergy symptoms, first generation antihistamines are small and structurally simple. Because of this, they have potential to bind to many other receptors in the body and can easily cross the blood brain barrier, creating many side effects including drowsiness. The second generation antihistamines sought to have higher H1 receptor selectivity and lower brain penetrability. You will notice the second generation antihistamines like cetirizine (Zyrtec) and loratadine (Claritin) have the same important binding features as diphenhydramine, including a nitrogen connected to an aromatic ring via a small linker. This is structurally similar to the linear amine found in Benadryl and binds similarly. However, the major structure change between the first and second generation antihistamines is the addition of a carboxyl (or CO2) group (pink). Though loratadine does not have a carboxyl group as drawn, it is a prodrug: it undergoes a change in the body to make it into the active pharmaceutical molecule. The prodrug reacts with water in the body to form a carboxyl group. Under physiological pH, amines are protonated to form a positive charge, and the -OH of the carboxyl is deprotonated to form a negative charge. When a positive and a negative charge exist in a single molecule, it is called a zwitterion. Because zwitterions do not readily cross the blood brain barrier, many of the adverse side effects (like drowsiness) from the first generation antihistamines are not present in diphenhydramine and cetirizine. Zyrtec is an over-the-counter antihistamine. Peer edited by Clare Gyorke. Will dogs save us from allergies? Dog is man’s best friend. Man is dog’s…predictor for allergies? A recent study showed dogs with owners that suffer from allergies are more likely to suffer from allergies themselves. Researchers also found that dogs that live in urban environments are more likely to have allergies than dogs in rural environments. The same correlation between urban environments and allergies is found in humans. Humans in rural environments come in contact with more species of microbes than their urban counterparts. It is thought that contact with many microbes early in life may protect humans from developing allergies. 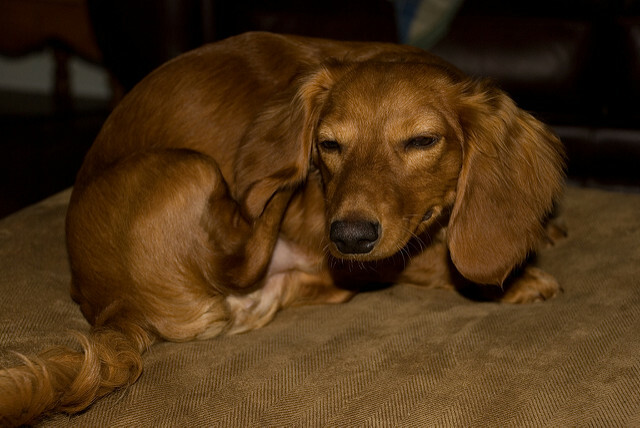 The same phenomenon is thought to occur in dogs. It appears man and man’s best friend have more in common than originally thought. 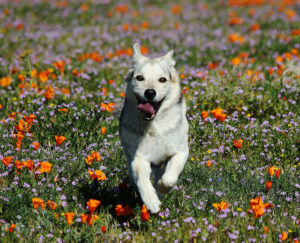 Allergies in humans and dogs have been on the rise in the western world. There have been many studies to look at the causes of these allergies in humans, but few have looked into the causes in dogs. Researchers at the University of Helsinki in Finland wanted to change this. We already know that humans who live in urban environments are more likely to have allergies than human who live in rural environments. Hakanen and colleagues wanted to know if the same is true in dogs. Researchers sent surveys to almost 6000 dog-owners in Finland. The survey asked questions about the dog’s breed, the dog’s current environment (urban v. rural), the dog’s environment at birth, the dog’s allergies, and the owner’s allergies. When analyzing the data, they removed dog breeds known to be genetically prone to allergies, so they could focus on environmental factors. After compiling the data, Hakanen et. al. concluded that dogs who live in urban environments are more likely to have allergies than their rural counterparts. It is important to note, the data are influenced by how much time the dog spends outside and how much contact the dog has with farm animals. Strangely, living in larger human families can also protect dogs from developing allergies. This suggests that we might protect our dogs from allergies; similar to the way they protect us from developing allergies. Researchers cannot be certain the cause for differences in allergies between urban dogs and rural dogs and dogs in smaller vs. larger families, but they do have some theories. In humans, the microbiota, or the microbes that live in our bodies and do not cause illness, are an important factor in allergy development. It is thought that humans who grow up in rural areas come in contact with and are colonized with environmental microbes that protect people from allergies. The microbiota is also thought to be important for development of allergies in dogs. Dogs living in rural environments may come into contact with more environmental microbes that protect them from allergies. Furthermore, dogs in larger families likely come into contact with more species of microbes because each family member harbors a unique microbiota. Though many of the study’s findings are similar between dogs and humans, one difference between human and dog allergies seems to be the impact of birthplace. A dog’s birthplace is not a predictor for allergies in dogs like it is in humans. Researchers think a dog’s birthplace may be less important because dogs are usually removed from their birth environment fairly early (7-8 weeks), when compared to humans (18yrs). Hakanen and colleagues were able to identify multiple environmental factors important for predicting if a dog will develop allergies. However, the most striking finding of the study was actually in the dog owners. Dogs with owners that have allergies are more likely to have allergies. Though this is not a new finding, it suggests that the factors important to developing allergies in humans and dogs may be the same. The idea that the same factors could influence allergy development in both dogs and humans is particularly intriguing considering dogs suffer mostly skin and food allergies and few respiratory symptoms. Respiratory symptoms from pollen allergies are among the most common in humans. Furthermore, the immune responses that cause allergic symptoms in dogs and humans are different. This suggests the factors influencing allergy development may be important for all mammals despite differences in their immune systems. There is still more research to be done to determine the factors that lead to allergies in dogs and humans. However, the studies of Hakanen et. al. and others suggest that if we can determine the factors important for developing allergies in dogs, for which it is easier to gather environmental and health information, we may be able to apply these findings to humans. So in addition to being the best listeners, best cuddlers, and our best friends, dogs may just be our best chance to cure our allergies. Is Better Hygiene Causing More Allergies? If you follow the sitcom ‘The Big Bang Theory’, you would probably remember how Howard gobbled peanuts to hide his friend from a surprise birthday party, even though he was allergic. Though it was hilarious, allergies are a serious health issue! Allergies are a growing concern, primarily in developed countries like the US. About 15 million Americans suffer from some form of food allergy. Twice as many children suffer from allergies than adults. Peanuts, milk, eggs, wheat, nuts, soybeans and shellfish account for a large majority of reported allergy cases. The situation is troublesome because these are common food ingredients, and even trace amounts can trigger anaphylaxis (a severe allergic reaction) that requires immediate medical attention.